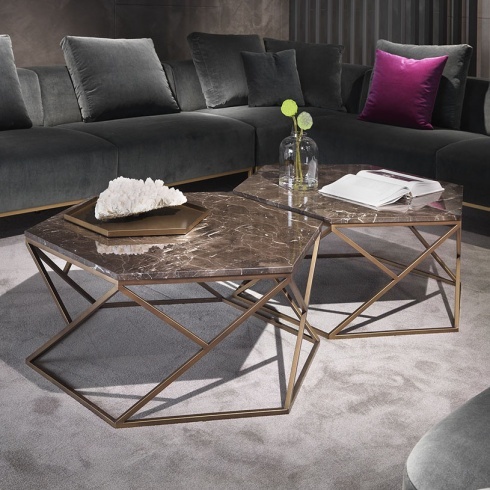 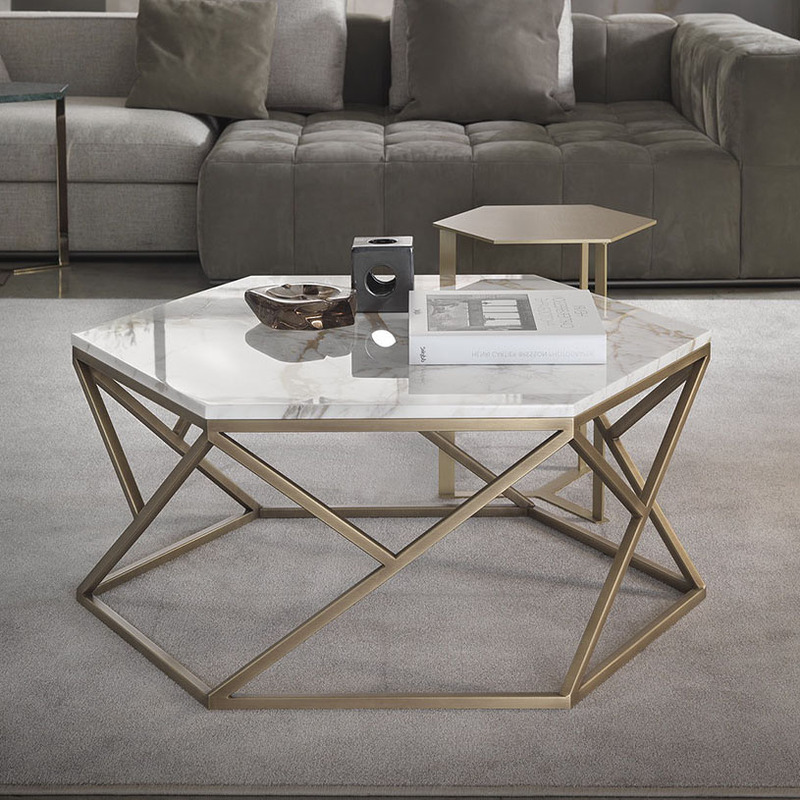 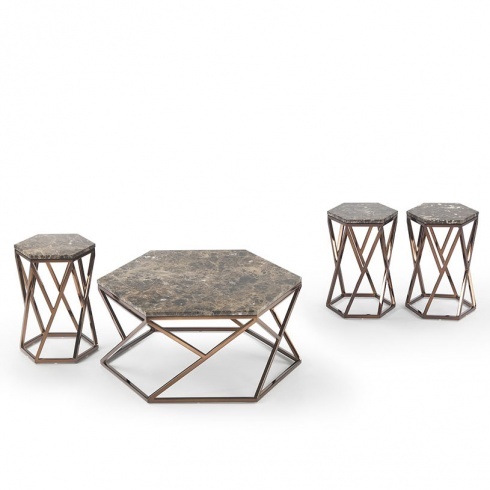 The Hive coffee table is characterized by its unique metal base and sleek, dynamic form. 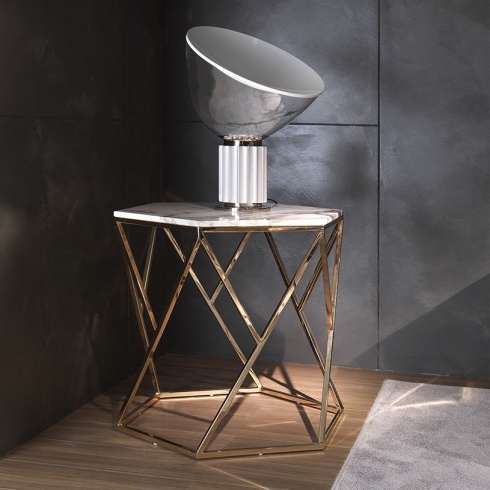 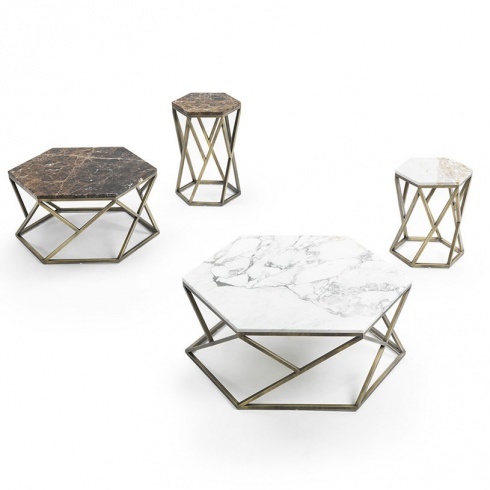 Its hexagonal shape elevates its elegant style and adds a unique feel to your living space. 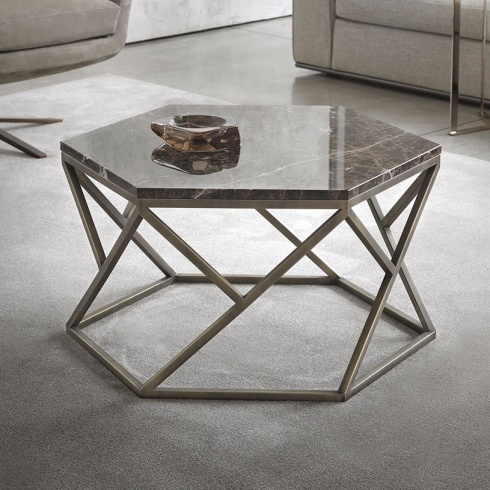 Its sophisticated style is encompassed by the classic marble top and intricate detail. Made in Italy by a skilled team of craftsman.